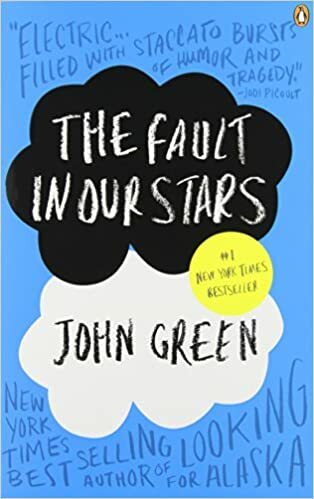 If you are a reader of Romance and Young Adult Fiction category, then you cannot miss the John Green Books list, the famous American author, vlogger, writer, producer, actor and editor. John Green’s debut novel, ‘Looking for Alaska’ won the Printz Award in 2006. The books written by John Green are based on the Subject of Romance and also categorized as the ‘Best books written for teens’. From his debut novel, ‘Looking for Alaska’ to his latest release ‘The Fault In Our Stars‘ in 2012, he continues to influence the readers around the world with his unique writing style on the genre of love. Here is the complete list of all books written by John Green Including his latest novel published in 2012. This is the first book from the John Green books list. It is the first Novel written by John Green. 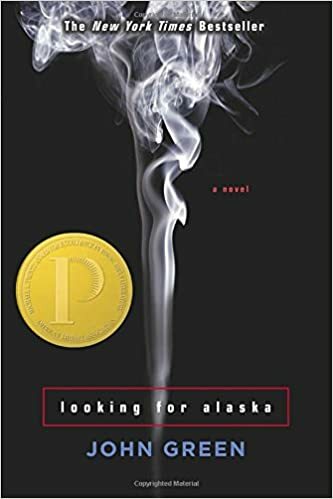 ‘Looking For Alaska’ is about a boy named Miles who is greatly impressed by the last lines of the poet, Francois Rabelais, ‘I go to seek a Great perhaps’. Because of that, he left his public School in Florida and gets admitted to the school in Alabama, where he meets the beautiful girl named Alaska Young. He finds her well suited to be the love of his life. But the life is not that easy, Miles learn it very fast. After having the taste of happiness, he finds himself in the wrath of life. The main plot of the Story revolves around the struggles of Miles to get to his beloved, Alaska Young. If you are looking for a book full of love, then you must buy this book from the list of books written by John Green. This is the Second book written by John Green which comes under the category of Young Adult Fiction. The Story of ‘An Abundance of Katherines’ starts with a guy name, Colin, who is dumped by his 19th girlfriend named Katherine. All of his girlfriends named Katherine and hence it concludes the title of the book itself. After getting dumped by his 19th girlfriend, he felt heart broken and useless. To overcome the pain of broken heart, his friend Hassan takes him on a Road trip to nowhere specific. The Story gets interesting when Colin finds a theorem that could predict the life span of any relationship. 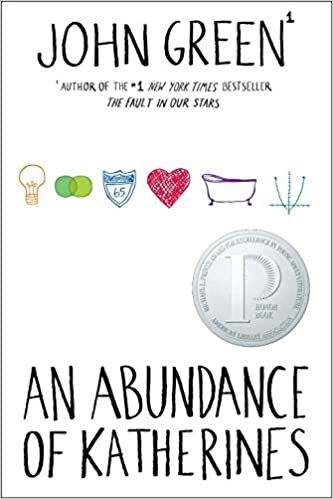 Again it is a must read book from the list of books written by John Green for the teens to get to know to about the relationships of love and real life. 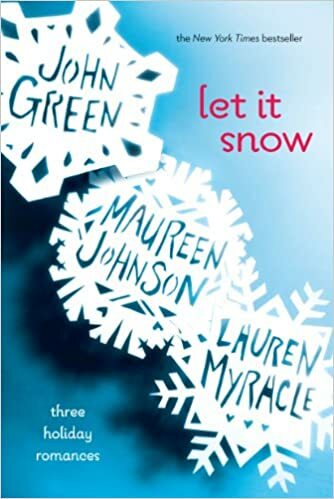 ‘Let It Snow’ is an anthology of three short stories written by Maureen Johnson, John Green and Laureen Myracle. The Story of the book beautifully describes the blizzard-laden roads of Gracetown. The Storyline thrills the readers on the subject of True love. It is the book that puts you in the place where you can imagine about, ‘How it feels to be in love, losing the loved one and finding it again’. The Main plot of the story comes well to define the warmth feeling of togetherness in love. 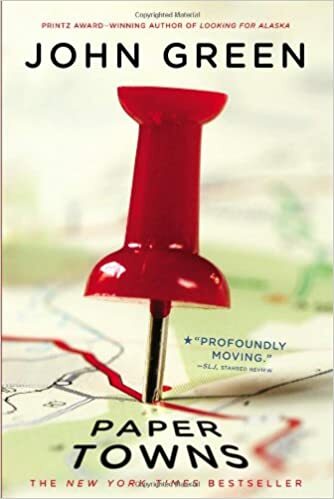 It is yet again a splendid book from the John Green books list which is primarily written for an audience of young adults. ‘Paper Towns‘ is a Story of Quentin Jacobsen who falls in love with a girl named, Margo Roth Spiegelman. Margo and her life full of adventures are centers of attraction in school life. The Story takes a dramatic turn when one day Margo asked Quentin to accompany her for an all- night road trip and he agreed. The Very Next day Margo is missing from the School and she also can’t be reachable at her house. Quentin gathers some hints from the missing trail and further proceeds into the details of the mystery. As time passes away, Quentin becomes unsure about what he is looking for and that makes the story more interesting. If you are looking for your next read in the category of thriller Mystery, then you can pick this read from the bucket of John Green written books. ‘Will Grayson, Will Grayson’ is about Friendship. 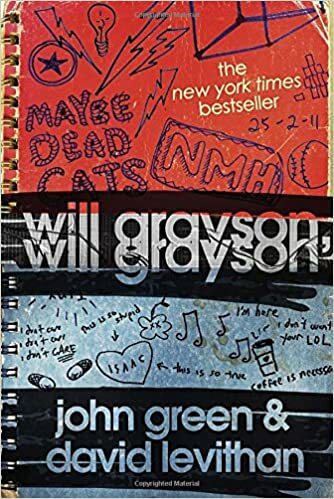 It is the Story of Will Grayson and Will Grayson, the two teenagers with the same name who belongs to the different circles of life suddenly finds their lives going in new and strange directions. As they reach to the unexpected phase of their lives, they team up to produce the most amazing music to shake the high-school stage. The Book is full of Humor, Friendship and funny moments. This is the Sixth book from the John Green Books list and also the latest novel by John Green in 2012. The Story of The Fault in Our Stars is narrated by sixteen years old girl named, Hazel Grace who is suffering from cancer. Hazel is forced by her parents to attend a support group in the “Literal Heart of Jesus” where she finds the love of her life in the form of 17-year-old Augustus Waters, an ex-basketball player. The huge success of the book made it to the Hollywood Blockbuster film by the same name ‘The Fault in Our Stars Movie’. Both the book and its film adaptation were met with the strong commercial success. If you are a fan of John Green, then you cannot miss reading this latest book by John Green. 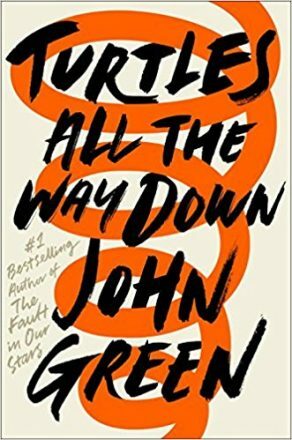 ‘Turtles All the Way Down‘ is the John Green’s latest book which is set to release on 10th October 2017. The Story is about a young girl, Aza Holmes, living the daily existence around the spiral thoughts of her own. It is a very personal book as per the author himself as he also talks about mental illness for the first time in this book. Well, that was the closing of the list of books written by John Green. But I believe, John Green will continue to give us the dose of Young Adult Fiction, love and Romance. So, towards the end, I can promise one thing, this John Green books list will definitely add up to your reading list. If you have anything to share about John Green Books, please feel free to drop your valuable words in comments. I just love the fault in our stars! Tbh I didn’t like to read books but as soon as I started to read John Green’s books, reading has become one of my hobbies❤ fault in our stars was the first book (of John Green) read by me and I really loved it and I’ve read paper towns.. Its amazing but the end is kinda weird.. I’m gonna read let it snow now!